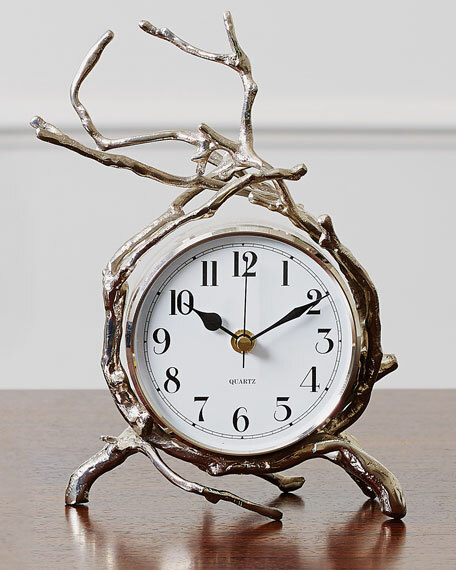 Stems of solid cast brass twist and turn creating our Twig Clock. 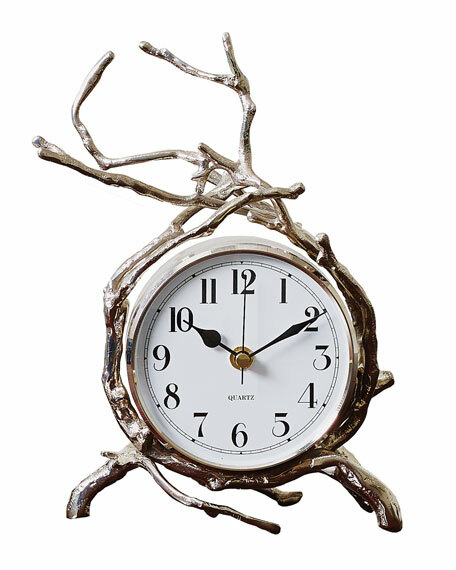 This delicate nickel plated timepiece brings natural elements into your home, in an oh so elegant way. 4.8"W x 7"D x 10"T.